The Egyptian Exchange (EGX) indexes went up at the close of Tuesday's trading, pushed by purchases of local institutions and investment funds. 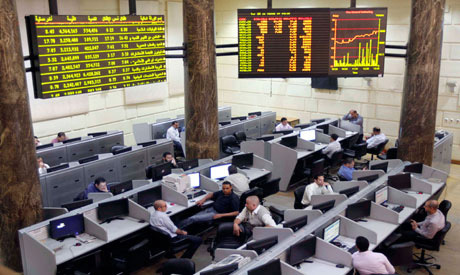 The market capital gained about EGP 4 billion, registering EGP 764.59 billion after transactions totaled EGP 1.23 billion. The EGX 30 benchmark index rose 0.45 percent, recording 13,402.7 points. The broader EGX 70 index of the leading small and mid-cap enterprises (SMEs) increased 0.11 percent, closing at 688.1 points. Also, the all-embracing EGX 100 index was up 0.13 percent, hitting 1,724.06 points.